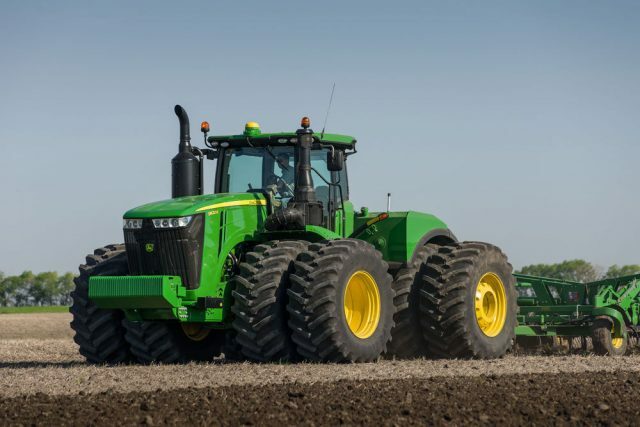 John Deere’s tractor firmware prevents the owners from making an unauthorized repairs. Whenever maintenance is needed, an authorized agent needs to swing by and connect to the tractor with diagnostic software. They okay the repair, and the tractor then works. Without that, it’s a very big paperweight. John Deere charges several hundred dollars for service calls, plus $ 150 per hour for the technician. When techs aren’t available, they have to wait. The alternative many are starting to turn to is pirating the diagnostic software themselves. Here’s where things are in the present day: Back in February, the Equipment Dealer’s Association promised to make a few concessions to farmers, promising that repair manuals, product guides, diagnostic service tools, and onboard diagnostics would all be available to farmers by 2021. But the agreement only covers equipment sold on or after January 1, 2021. It says nothing about explicitly making these tools It also allowed tractor manufacturers to continue using software lockouts in ways that could prevent repair. That’s what the EDA promised voluntarily, with no negotiation. The California Farm Bureau Federation was ostensibly supposed to push for a better deal, including continuing to fight for so-called “Right to repair” legislation in the state legislature. Instead, the organization has signed an agreement with the EDA that codifies the voluntary February offer… and that’s it. Farmers are effectively out of the right to repair fight in California and have literally nothing to show for it that they weren’t getting from the EDA already. The final agreement doesn’t address the fact that John Deere monopolizes tractor repair. It makes no provision for the sale of spare parts. It states that repair and diagnostic resources will only be available for tractors that haven’t even been built yet, offering no improvements to farmers today. It does not mention anything about fair and reasonable prices for parts, only fair and reasonable prices for maintenance and diagnostic information. There’s also no mention of how patches, updates, or firmware will be distributed to farmers. These are precisely the sorts of points that a group like the CFBF might be expected to negotiate on. At the very least, they’re issues that tie into the larger question of how much control manufacturers should be able to exert over a product once it leaves the factory floor. Farmers might be interested in those questions but their representatives apparently weren’t.